To make aioli – Chop garlic in food processor. Add remaining ingredients and process until smooth. 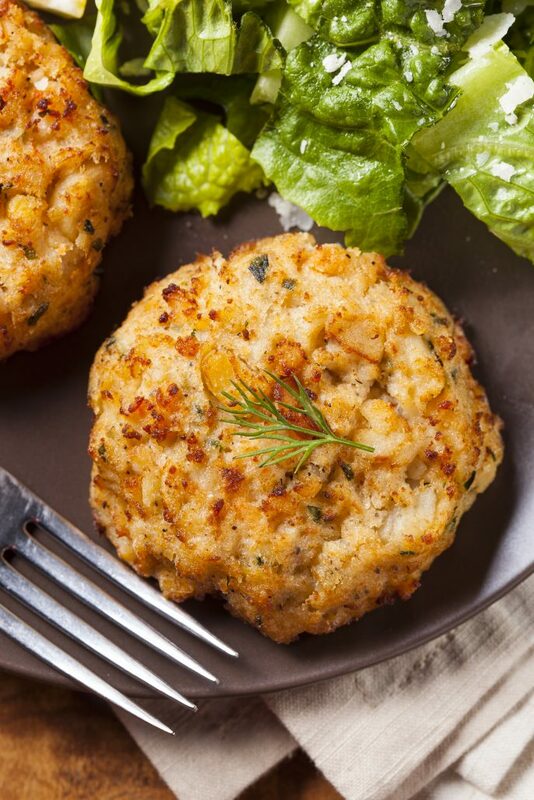 To make crab cakes – Mix all ingredients in a large bowl – incorporate thoroughly. Form into small cakes – size is up to you, but should be no more than 3/4 inch thick. Sauté in a frying pan with olive oil until each side is golden brown.